Want a colorful and eye-catching theme for your children’s store? 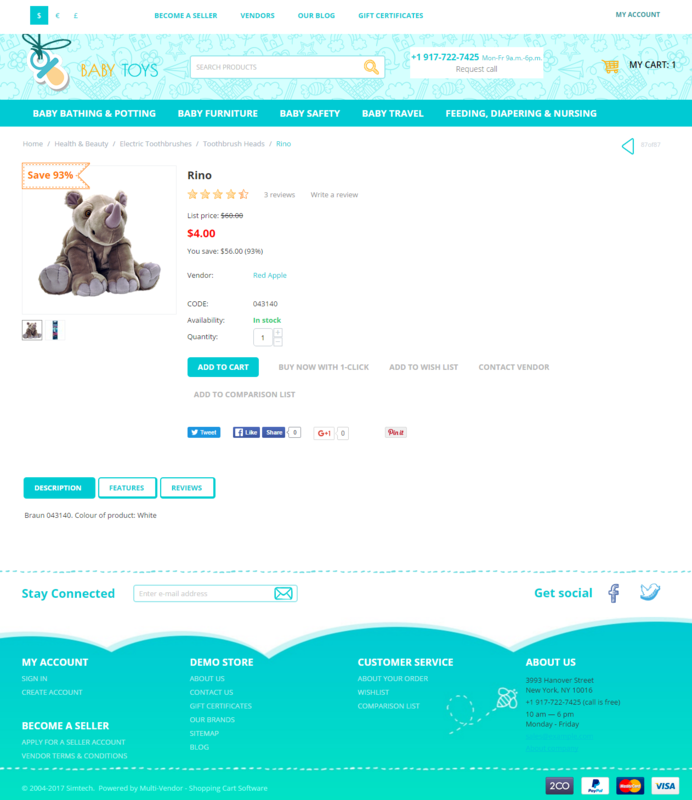 We have prepared the Baby Toys Theme for you. It’s engaging design makes it a perfect child theme. It will be great for any online store aimed at children and their parents. A wide range of products can be sold in such a store, not only toys. It can be anything connected with kids: child care products, nutrition, cosmetics, children’s books, accessories, etc. Fresh color scheme and interface elements draw attention and make positive impression. The theme is responsive and supports all devices. The CS-Cart Asia Theme is compatible with CS-Cart and Multi-Vendor 4.3.1 and above. Need compatibility with another CS-Cart version? Contact us.